Description In the heart of the South Side of Chicago, an 85-acre area abutting a railyard means different things to different people. For more than 400 African American families, it is home. For Norfolk Southern railroad company, it is space to expand its train-to-truck intermodal depot. Directed by noted photographer David Schalliol, The Area begins in 2012, when Norfolk Southern has already bought out over half the area’s residents and is picking off the holdouts. Middle-aged homeowner Deborah Payne puts off her plans to move; instead, she digs in and becomes an ad hoc community organizer. 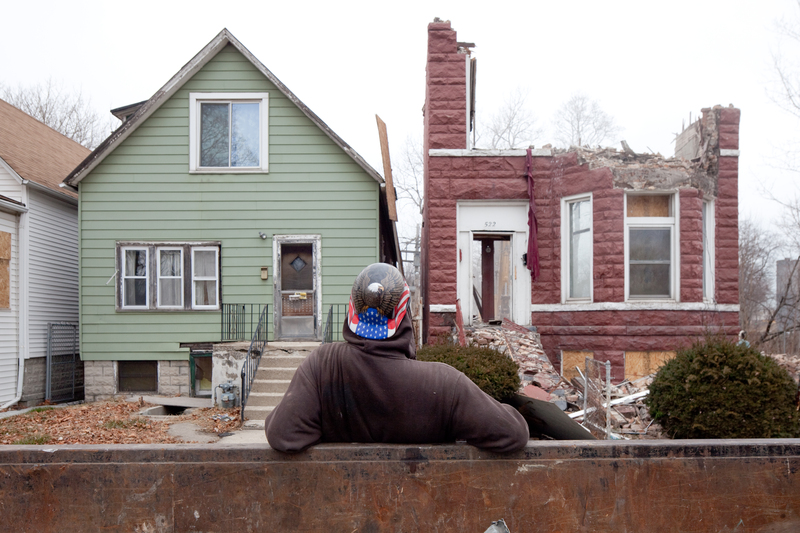 As her neighbors jump ship and houses are pulled down, property values implode. Valiant and stubborn, Payne fights for fair-value buyouts and respect for those who remain. Filmed over the course of five years, The Area tells a complex story of economic revitalization, commercial interests, and community rights. Panel discussion with filmmakers David Schalliol and Brian Ashby, activist Deborah Payne, and UChicago professor Judy Hoffman. Presented by the Film Studies Center and the Pozen Family Center for Human Rights with support from the Charles Roven Fund for Cinema and Media Studies.